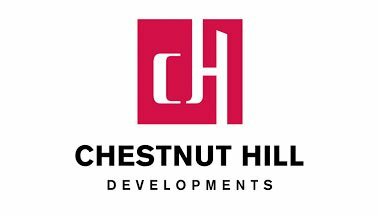 This new real estate project is a freehold townhome development in the pre-construction phase by Chestnut Hill near Salem Road and Taunton Road West. Horizon Modern Towns is located in the heart of Whitby. Are you looking for contemporary living but crave a little more space? 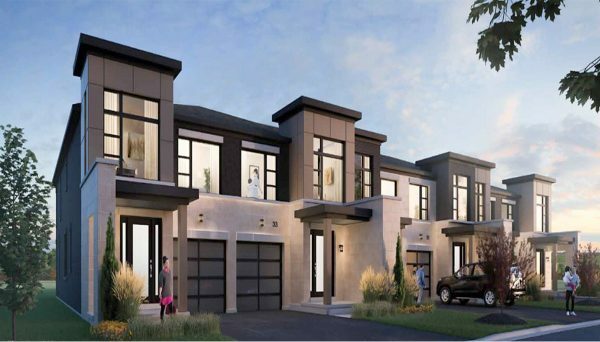 These townhomes are a fantastic alternative to new condos going up in the area. This lot was chosen by the developers to provide each resident with generous living spaces, a sense of comfort and ease as well as close proximity to shopping centres, educational facilities and transportation. The project includes 40 luxurious units in total with floor plans ranging from 1,609 to 2,057 square feet-- with most units featuring 2.5 baths. Exteriors are a beautiful mixture of brick and stone with large windows and attached parking garages offering convenience and storage. The development is designed to complement and enhance this already thriving district which is just 5 minutes away from downtown Whitby. Boasting spacious open concept layouts, this developer is known to complete their projects with a meticulous eye for detail. Engineered hardwood flooring, 3 bedrooms and designer kitchens with smart layouts and extra cabinetry are signature touches of a developer who knows how to satisfy a wide range of lifestyles. This developer is also known to have an in-house design studio, which allows you to choose palettes, fixtures, and finishes in your new home. Being that this development is in high demand because of its freehold status, don’t let this opportunity pass you by. Freehold towns are as close as you can get to detached home living as your home is not a part of a condo corporation. This means that you own your unit, both the exterior and interior. With this advantage, you can decorate or change your home as you see fit and you won’t be on the hook for any condo fees or special assessments. Freehold townhomes tend to be in greater demand for these reasons and they often appreciate in value faster than their condo counterparts. 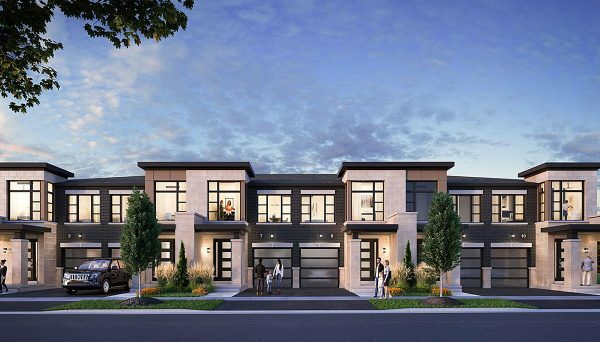 These pre-construction townhomes make a great option for growing families, downsizers or the professional who prefers more control and living space than a traditional condominium suite. Units with no walk out start from 1,725 and range up to 2,237 square feet. Units with a walk out included range from 1,725 and range up to 2,087 square feet. All units feature backyards perfect for an intimate gathering or for enjoying a good book outdoors. Horizons Modern Towns are located in a friendly and diverse community with a lot to offer. This up-and-coming neighbourhood is just a few minutes’ walk to Somerset Plaza. Here, visitors can shop for everyday necessities, complete banking errands, have a bite to eat and pop into a spa or salon for some grooming. Having all these local amenities within walking distance adds additional value and convenience to this new pre-construction development. Transit in this area is also super convenient for both public transit riders and motorists alike. Within a short 10-minute drive, both the Ajax and Whitby GO Station offer riders the best ways to commute to downtown Toronto or anywhere in the GTA. Additionally, 4 local bus routes service the area for traveling closer to home. Like much of the GTA, motorists living in this upcoming community will rely on the 401 Expressway for traveling around the city. Whitby is a part of the Highway of Heros stretch of road on the eastern side of the 401 corridor. By using the 401, drivers can easily reach different communities like neighbouring, Ajax, Pickering, Scarborough, North York, and Toronto. Another highway near this community is Highway 7, which connects drivers the cities like Markham, Richmond Hill, and Vaughan. These integrated highways are popular among Whitby commuters who need to travel to different employment centres like Markham, North York Centre and the Financial District in downtown Toronto. Students will enjoy living just 15 minutes by car to the University of Ontario Institute of Technology. Within 15 minutes by car, students attending the UOIT can arrive seamlessly to their campus. And if driving isn’t an ideal option, the Durham Region Transit can get students to class in 25 minutes. For one of the countries newest Universities, UOIT was recently voted as the fastest growing university in Ontario. In 2015, the student population was 10,113 and growing. Durham College is also a neighbouring post-secondary school which is attractively 29 minutes away from Horizon Modern Towns. This school has a student population of 30,000, including a faculty population of 12,000. If you are looking for an investment property, purchasing near a school or several schools maximize your chance of securing a tenant and lessen your inoccupancy average. This leafy neighbourhood also has the advantage of being close to Pickering Town Centre where visitors have their pick at 203 stores and services. The mall is anchored by a movie theatre, grocery store, department stores, an optical, and family-friendly restaurants. Downtown Whitby offers another shopping locale concentrated at the intersection of Dundas and Brock Streets. This area is a small urban centre where Victorian buildings create a nostalgic vibe. Most of the city’s restaurants, stores and services are located here-- which makes this area a busy hub, especially on weekends. Nature-lovers are in luck too. Parks are plentiful in this pocket of the city. 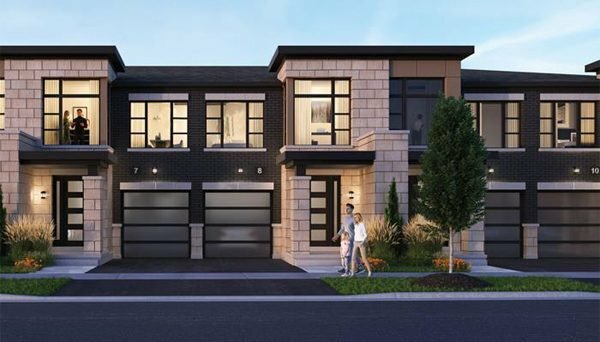 Cullen Central Park, Imagination Park and the Greenwood Conservation Area to name a few are just a hop, skip and jump away from the upcoming townhome development. Enjoy a jog, a walk with neighbours or your furry friend. The Deer Creek Golf Club is also nearby for those who like to enjoy a round of golf close to home. Parks, shopping and some of the best public transit offerings are already happening here in this pocket of Whitby. Horizons Mordern Towns is a fabulous opportunity to take advantage of the convenience and comfort of living in a thriving neighbourhood. Customer-oriented and devoted to providing first-class homes, Chestnut Hill understands what property buyers desire. In order to achieve unforgettable configurations for reasonable prices, they perform a comprehensive market analysis where they ask appropriate questions and truly listen to the responses. They take this information and use it to develop projects in which residents will feel like they are a priority. Their dedication of putting customers first has paid off because they are now an award winning developer. At the 2017 BILD Awards, they won Best Website, Best Rendering Mid/High-Rise, as well as Best Sales Office.